At age 10, Eliza Dawson volunteered at PTMSC on the Orca Project, preparing the bones of Hope the orca for display. This summer, Eliza now 22, participated in the Great Pacific Race with Team Ripple Effect, an international team of young women to row across the Pacific from California to Hawaii to motivate environmental political action. Team Ripple Effect's guiding principle was that "while crossing the Pacific will be a monumental challenge, the challenges facing our planet are even greater. Each of us is working in our local communities to tackle issues threatening our planet and future. Together, we hope to have a global impact." 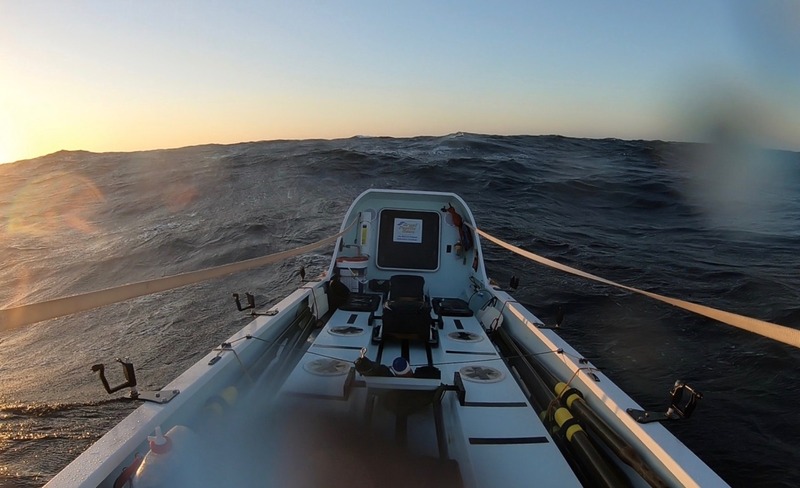 While the team had to end the row due to a medical emergency, Eliza has chosen to continue the mission on terra firma. "This is my new plan: For the first two weeks of July, I will cycle 400 miles through the remote Alaskan and Canadian wilderness, getting an up-close view of rapidly receding glaciers, as well as bountiful wildlife and scenery. I remain determined to bring awareness to the impacts of climate change and I am looking forward to documenting my cycling journey." Prior to her rowing journey, the Port Townsend Marine Science Center awarded the Anne Murphy Ocean Stewardship Scholarship. “We continue to be inspired by Eliza,” said PTMSC Executive Director Janine Boire. "We cheer her efforts to raise the consciousness of people everywhere about the threats to our marine environment." Follow Eliza's blog www.row4climate.com to read more of Eliza's own words and for updates on her cycling journey.